﻿ Harmony Hotel Istanbul Istanbul. JIMAT di Agoda.com! Ada soalan mengenai Harmony Hotel Istanbul? Bagi para pelawat yang ingin menikmati sepenuhnya pengalaman di Istanbul, Harmony Hotel Istanbul merupakan pilihan tepat. Dengan lokasi hanya 0 km dari pusat bandar dan 22 km dari lapangan terbang, hotel 3-bintang ini menarik banyak pelancong pada setiap tahun. Dengan lokasi yang mudah, hotel ini memberikan akses mudah ke tempat yang anda perlu lawati di bandar. Di Harmony Hotel Istanbul, perkhidmatan yang cemerlang dan kemudahan yang unggul menjadikan penginapan anda tidak dapat dilupakan. Pilihan kemudahan kelas atasan seperti khidmat bilik 24 jam, Wi-Fi percuma semua bilik, pengawal keselamatan 24 jam, khidmat teksi, khidmat tiket boleh dinikmati di hotel. Hotel ini mempunyai 22 bilik yang sangat cantik, setiap bilik dilengkapi televisyen skrin rata, bilik mandi tambahan, tandas tambahan, minuman alu-aluan percuma, penyaman udara. Di samping itu, pihak hotel menawarkan aktiviti rekreasi untuk memastikan anda mempunyai perkara untuk dilakukan sepanjang penginapan anda. 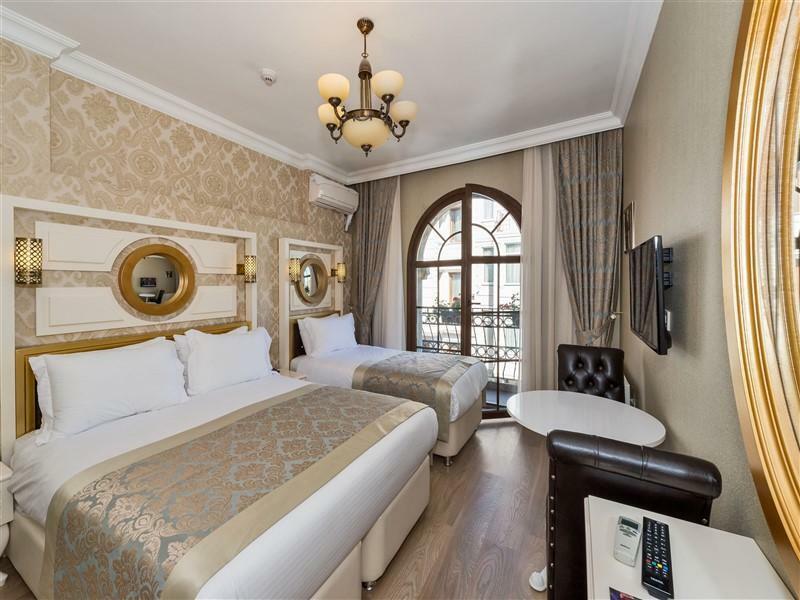 Harmony Hotel Istanbul merupakan tempat yang ideal bagi penginapan pelancong yang mencari keindahan, keselesaan dan kemudahan di Istanbul. Almost all the necessary facilities are available. The view from the terrace is amazing, you can spend hours seeing the cruises in the calm blue bosphorous. Just lack of elevator makes it a tough choice for elderly visitors. I was very disappointed from this place that i cut my stay and left the next day leaving what i payed behind, the staff wanted to photo copy my credit card which is illegal, i refused, the room was not clean, the beds where not changed from the previous customer , dirty bathroom, smelly towels, stinky room, either very cold or very hot, i never ever cut my stay at any hotel in my life, this was the first time, what is funny they have sign shows that it’s been rated 8.5 by trip advisor ??? and the staff recommended me to a restaurant at the corner which was the worst ever in the whole world not just i̇stanbul. bad bad experience. 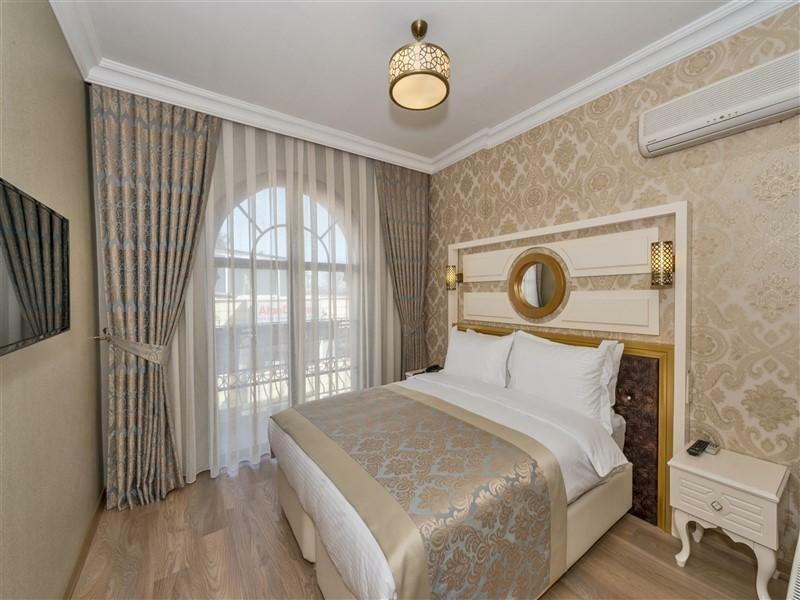 The hotel is very conveniently located within the Sultan mart mainly the main attractions such as Topkapi place and Blue Mosque is within 10 to 15 minutes walking distance. The staffs are extremely helpful especially Oktay. Oktay was very helpful in provided us with any information & they also helped to book for our Day Tour to Bursa. It’s a economic but very clean hotel. We were extremely happy with our stay there. A big thanks to all the hotel staffs! It was brilliant for what we needed which was a base to explore, hotel staff were fine they didn't go beyond themselves to offer and help or make sure our stay was any better however the facilities were probably the most inadequate with a half furnished rooftop terrace which could be greatly enhanced. All in all could see myself returning probably without my children this time. The price I paid is worth it. Excellent accommodation. Just walkable distance to all market places. Overall nice place. Soft bed 🛏 to sleep. Breakfast is free too. Great hotel, perfect location close to all major main sights, nice staff and adequate breakfast (cheese, bread, fruit, olives, eggs, cereal, tea, coffee). Bring earplugs as there is a very nearby mosque (which would likely be the case in all hotels in Istanbul). Small room but very nicely decorated and super comfortable. Property near to the Sultan Ahmed area. Rooms are amazing and do complete justice with the pictures posted. staff is very courteous no elevator and only walk-up building. Cozy bed and clean bathroom.There is no elevator. Staffs are friendly and helpful,breakfast is good,all heaters were broken the time we're there in the late autumn 2016,needed 20 minutes walk to Blue mosque,be careful with the restaurants along the way to Blue mosque particular first several ones you passing thru,at first, they tried to sell us their food very nicely,we said we wanted looking more option and decide afterwards,and after taking our dinner at somewhere else a much better restaurant with live music,on our way back to hotel,one of these restaurant owner happened to standing outside and knowing that we have eaten elsewhere,make some unpleasant word on us,also many taxi drivers in Istanbul tended to rip off foreign tourists,just make sure they use meter.. Basic hotel room. Met minimum requirements. Friendly staff. Convenient location. 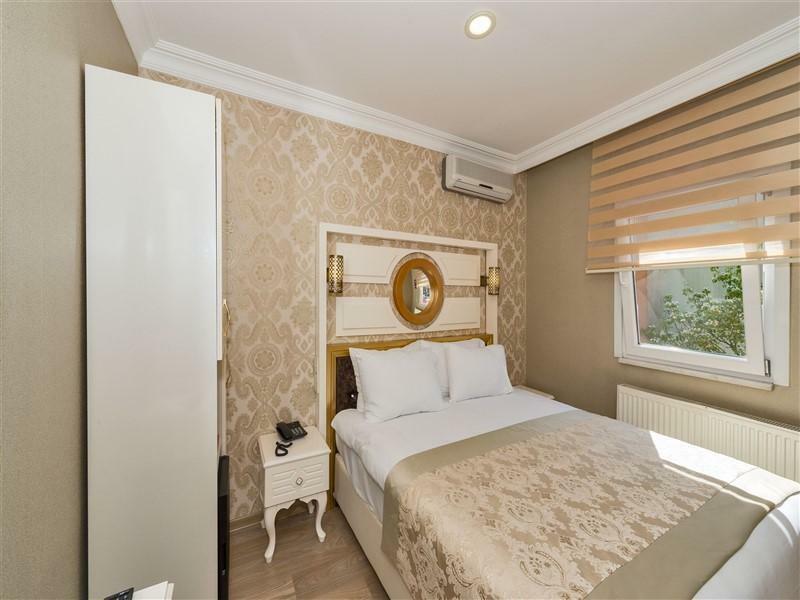 Within walking distance to most sites in the Sultanahmet sector. My room was exactly like the pictures, clean, and comfortable. My favorite parts were the breakfast and the staff. The breakfast was so delicious, and the staff was so kind and helpful. The day I checked out my flight was delayed and they let me keep my room until 1 pm to occomodate me. It was so nice! Good: central location, convenient transport, friendly staffs, cheap rooms. Bad: No lift, WiFi very slow and unstable, very limited breakfast, staffs speak limited English, some broken facility in the room. We have just got back from a 5 day stay st the hotel. I am quite a fussy person when it comes to customer service and cleanliness and actually take my own cleaning products when I travel- there was absolutely no need the cleanliness of the hotel is spot on and the staff amazing - ibraheem, masoud and the lady who covers evening reception (so sorry I have forgotten her name) bent over backwards to assist us in our queries. From little things like tea on the terrace to helping us plan our day. Thank you so much to all the kitchen and cleaning staff and not forgetting the lovely young man who helped us with our luggage. I will certainly be using this hotel again and recommending to my family and friends. Perfect location and lovely humble family setting at the hotel.